If you haven’t noticed, we are all about helping people travel the globe and find international shuttle rides. We want to help you get out there and explore the world, no matter where your journey begins and no matter what language you speak. As the official website for AirportShuttles.com we offer travelers the ability to make airport transfer reservations at over 2,000 airports worldwide. One of the most popular ways to save is with a shared ride van, ridesharing services or local taxi cab services. For those looking for a more private ride, try a black car ride in a sedan, SUV or a stretched limousine that is driven by a chauffeur who can meet you curbside with meet and greet services. For larger groups heading toward downtown events at convention centers, larger vehicles might best fit your needs such as private vans or chartered buses. Whatever transportation needs you have we have the ride for you. We provide a fast, easy, cost effective way to compare and book airport ground transportation worldwide. When booking with us you can find the lowest rates on thousands of airport shuttle rides for shared ride vans, private van transfers and sedans. 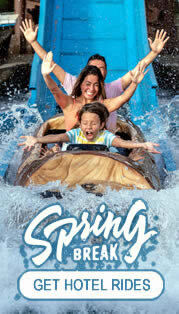 All rides are a door to door service for your convenience including hotel shuttles to and from airport terminals. When booking shuttle rides in the United States passengers can discover low rates from your neighborhood or hotel to local airports our providers have drivers who can get you there. With professional drivers our shuttle and private sedan service will get you to your destination from quickly at a reasonable price. Passport, check. Luggage, check. A ride from the airport to your hotel, no check. Let us help you make your cruise vacation as seamless as possible. Book your ride to and from the airport ahead of time so that you can just enjoy your trip. Search our discount rates for your cruise ship transfers today. Need a lift? We've got you covered. Many of our airport transportation services offer you the ability book your college shuttle rides from the airport anytime in the United States, even if you're already at the airport. So skip the line at the shuttle counter and book your airport transfer online with ease. There are dozens of major attractions in the United States so finding the best airport theme park transfers to the best hotels and resorts can be easy. Our share ride vans are a cost effective way to get around theme parks or if you are traveling in larger groups then a private van may be your best choice. 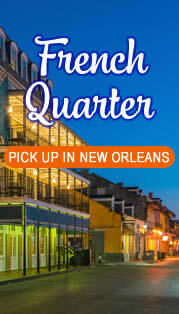 We service most convention center transfers for small or large groups. 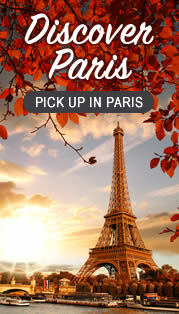 You can find the best airport transfers and rates for your destination. We provide shuttle and private transportation for travelers needing door to door shuttle rides to convention centers or any physical location such as a local hotel. For the past 16 years AirportShuttles.com has been a trusted name for passengers traveling worldwide. We help you compare rates for hundreds of airport shuttle service providers and offer instant airport transfer reservations for shared ride van or private shuttle bus, executive sedan, limo or limousine and taxi services to and from the airport. Below are just a few of our airport transportation providers who offer world class airport service. SuperShuttle, also known as Blue Van, leads the nation in shared ride shuttle services. Super Shuttle provides airport transfer service in 48 airports and 78 cities. GO Airport Shuttle services over 50 airports and prides itself on providing a cost-effective airport ground transportation services for its passengers from share ride to private van transfers. We’d like to help you get to and from the airport in the easiest, most convenient way possible no matter where your travels bring you. 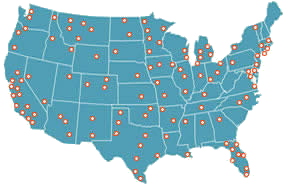 Check out which U.S. airports we can help you in across the United States and beyond. 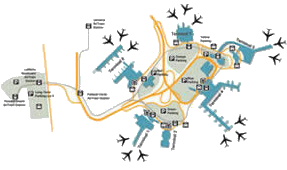 If you are unfamiliar with your airport, here’s some general pick up and drop off locations for ground transportation providers when you arrive.